There are several reasons for not replacing the windshields. Little do they realize the risk they’re putting themselves and their families in by not having cracked windshield repair el cajon. Excuses vary. Some say their insurance has a deductible that they currently can’t afford. Some say the crack doesn’t obstruct their view, while others say they just don’t see the necessity if it’s not shattered. It’s hard not to roll my eyes at all these answers. The purpose of this article is to tell you why it’s so important to have a good windshield on your vehicle and to give you some tips. Believe it or not, front windshields serve a much bigger purpose than just allowing you to see outside of the car when you’re driving. They also protect you from the rain, snow and other elements of weather. More importantly, however, are the safety features provided by your car’s windshield such as the 3 bullet points below. It Acts As A Shield For Air Bags – Cheap, low-quality glass is more likely to crack or pop out, which can cause incorrect deployment or improper inflation of your air bags. It Prevents The Roof From Collapsing – Many people don’t realize that the windshield of the car provides from 30% to 60% of the car’s structural strength. In a roll-over crash, a cheap windshield can cause your roof to collapse, which can be life-threatening to you and your passengers. It Helps Prevent Ejection of Passengers in a Crash – Your windshield can also keep you from being thrown from your vehicle in the case of a collision. With the exception of seat belts, the windshield provides the most safety from being thrown from your vehicle. 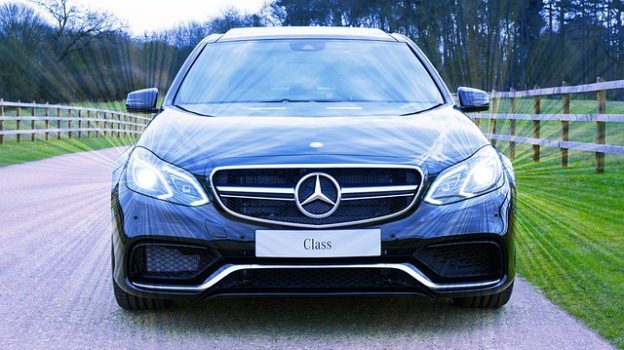 These are some of the many reasons why OEM glass is required by car manufacturers. Purchasing auto glass for any part of your vehicle is more than just opening the phone book and choosing the first provider with the cheapest price. 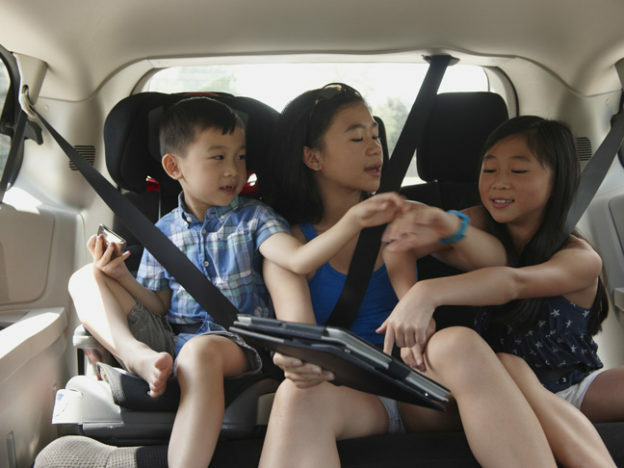 Safety should always be the #1 concern when we’re driving. Here are four safety questions you should ask windshield replacement service providers before you choose which one to use. How Qualified are the Technicians Replacing Your Windshield? While windshield replacement service providers, also referred to as auto glass technicians, are not required to be licensed, they should be highly trained, experienced and knowledgeable of the whole process. With so many makes and models of vehicles around today all having different types and shapes of auto glass, windshield installation and replacement can be complicated. Ask your auto glass technician to provide proof they are certified. Do some research before hiring someone to do the job. Are they reputable? Will they take care of insurance paperwork for you? Check credentials while comparing costs! What Type of Glass & Adhesive Do They Use? If your auto glass technician states he can get you a windshield cheaper than average, you should definitely question what type of glass is being used. Is it OEM (Original Equipment Manufacturer) glass? OEM glass is safer, sturdier and less prone to cracking. If you’ve gone so far as to require OEM glass, you will want to ask if they are using OEM adhesives as well. Low-quality adhesives do not work as well in wet or cold climates and take much longer to dry or cure. This can be a real problem if the car is used too soon after installation. In other words, the windshield may leak with the slightest impact if you start driving around before the urethane has time to dry. How Soon Can You Drive Your Car After Installation? With the busy lives we all lead today, we seldom have the time to sit at a garage waiting for a new windshield to be installed. Auto glass providers often come to our home or place of business and do the work while we do our work. This is extremely convenient, but can be dangerous if we’re unknowingly driving the car before it’s ready. The glass and urethane need time to properly cure to the car in order to prevent future problems. This is known as “safe drive away time” and is listed on each bottle of urethane. Question your windshield replacement service provider on this safety issue, as well as if there are any precautions that should be taken a couple days after installation. What Type of Warranty Do They Provide? If you’re like many others who have waited almost forever to finally replace your windshield, you’re going to want to make sure it last and, if it doesn’t, that they’ll replace it free. If you’re offered anything less than at least a 1-year warranty, question the type of glass that’s being used. Some companies may offer a lifetime warranty. If this is offered, you can almost assume they’re using high-quality OEM glass. Windshield – Replacement or Repair? As much as you may want to put off spending money on your damaged windshield, it’s very possible you may only need a repair. A good rule of thumb is that if the crack is at least as long as a dollar bill, it should be replaced. Even if it’s shorter than a dollar bill, it should be replaced if it extends to the edge of the glass. If the chip or crack is smaller than a dollar bill and it’s not extended to the edge of the glass, it may be able to be safely repaired. Additionally, if the crack is in your line of vision, it needs to be replaced. While all the glass on your car is important, the front windshield is most important in terms of having it fixed when it’s damaged. Something to consider, insurance companies often will pay to have a windshield repaired because it may prevent a larger expense if it shatters completely. Also, some insurance companies require a deductible be paid for replacements, while others may waive the deductible. Contacting your insurance company could save you money! That being said, the main concern here is safety and hiring a certified technician will ensure the job is done correctly whether you’re saving money through your insurance or not. This entry was posted in Uncategorized and tagged auto glass repair el cajon, windshield repair, Windshield repair San Diego, Windshield tinting on February 19, 2019 by admin. What can you do when your windshields fog up after starting to drive? Why does this happen and what can you do about it? There are a variety of reasons why your windshield would fog including humidity, heat, and condensation. Humidity causes a buildup in water that turns into water vapor. You breathe the humid air. This air comes out from inside your body or off of it. Windshield fogging tends to be more of a problem when there is more than one person in the car since there is more breathing. Temperature is actually molecules moving. More moisture is held with warm air than cold. However, this isn’t a chemical reaction. The molecules aren’t holding on to water molecules. More water becomes gas when it’s warmer than it does a liquid. And, there’s more space between each molecule with warm air therefore, the water molecules can fit into this space. Moist, warm air condensing when it hits your car’s colder windshield causes condensation. This usually happens in the early morning. This is also why on humid, warm days when you have your car air conditioner running you’ll see condensation form at the windshield’s base where it meets the cool air. When there’s 100 percent relative humidity, if the temperature decreases more, the water needs to find its way out someplace. On a morning that’s cool outside when there’s fog or dew on the ground, that’s because the moist, warm air contacts the cold ground. You can clear fog in many ways. And although there’s no special way of doing it that works best each time, the two that are more likely to work better are as follows. Put your defroster on a high setting. Set the temperature to hot. Turn off the recirculation setting. Turn on the air conditioner. Your best option is to run your air conditioner, depending on your comfort level. This method works well when the outside temperatures are above freezing and damp, wet humans getting into the car causes the fog. While cold is best when running your A/C, you can still run the air at a warmer temperature and get rid of the fog. For an easy and fast fix, turn the heat on and run it through your defrosters. This causes the condensation to evaporate kind of like the moisture on your clothes evaporating when you turn the clothes dryer on. This method works better when there are colder temperatures and you are catching the fog buildup early. When your windshield is extremely foggy, you can use a small squeegee or dry cloth to clear up the fog quickly and then turn on the cold A/C. Slowly increase the air’s temperature if you find the A/C is too cold for you until you dry out the air inside your car. Keep in mind that when you’re drying air that’s inside your vehicle, you need to pull in the outdoors air rather than simply circulating inside air. These days, most defrosters already do this. Now, that you know what to do when your car windshield fogs, do you know what to do if your windshield has a chip or a crack? Call 7 Star Auto Glass today! This entry was posted in Uncategorized and tagged mobile windshield repair, windshield repair, Windshield repair San Diego, Windshield tinting, windshields fog up on February 14, 2019 by admin. The tradition of making New Year’s resolutions started over 4,000 years with the Babylonians. They wanted to find favor with the gods and start the year off right. While we don’t have that kind of goal, it is still a good practice to review and remind ourselves of what’s important and what we want to improve. Every area of your life can be improved – your fitness, your finances, etc. Did you ever include a car care resolution on that list? 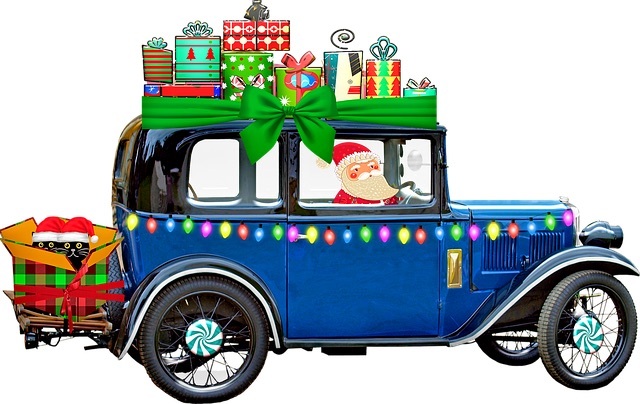 Your car is a very important component of your life to keep you and your family safe. Maybe you should as proper car care can help to keep you safe. Tire Pressure – as the temperature drops, so does your tire pressure. Driving with under inflated tires can be dangerous but on the bright side, it can improve fuel efficiency to have your tires with the proper psi. Battery – Keep your battery erosion-free. Batteries don’t give warning lights. Brakes – Have your brakes checked. You don’t have to be reminded on how important it is to have proper brakes. Oil – Change your oil at regular intervals. Oil is the life blood of your car. Wiper Blades – Change in temperature can make the rubber on your wiper blades hard and brittle. Torn or cracked blades won’t properly clean your windshield. Gas tank – Try to have your gas tank at least half full at all times, especially if you live in a colder winter climate. This decreases the chance of moisture forming in the gas lines and possibly freezing. Headlights – Replace before burnout when possible. The problem is – most drivers don’t know their headlight is out. Driving with a burned out headlight on a dark road poses a risk to both the driver and others. Spare Tire – Be sure you have your spare tire on your vehicle and not laying in the garage. Emergency Kit – Try to carry an emergency kit which includes jumper cables, flash light, basic tools, first aid kit, and water supplies – all things to help you survive until help comes to get you back on the road. Mobile phone – Be sure you have your mobile phone fully charged or carry a back-up battery. Car Wash – Have your car washed or wash it yourself at least once a month. Once you follow this list, you will be happier and your car will, too. This entry was posted in Uncategorized and tagged Auto glass care, car care resolution, Windshield repair San Diego, Windshield tinting on January 11, 2019 by admin. If you are wondering whether it’s better to repair or replace car glass, you should consider some factors, such as visibility, safety, and size of damage. The windshield can be repaired if only the outer layer is damaged or the crack is not close to the outer margin of the glass. You can also have it repaired if the crack is shorter than 12 inches or the chip is smaller than one inch. Replacement is necessary when it impairs the driver’s visibility or the inner layer of glass has also been broken. Windshield replacement is also recommended when the damage is near the edge of the windshield or longer than 14 inches. Chips or bullseye damage larger than 3 inches requires replacement. To reiterate the considerations, keep reading. Safety should be #1 when considering driving with a damaged windshield. Remember that a broken windshield cannot provide protection to driver and passengers, like the roof collapsing. Can the driver see clearly with the damage? In some states, it is illegal to drive if the crack is in the driver’s line of vision. It is generally accepted that chips or bullseyes up to one inch can be repaired as well as cracks as long as 12 inches. Windshields are made of two layers of glass. If the damage penetrates through the inner layer of glass, it can’t be repaired – replacement is necessary. Also, even if the exterior layer is intact, the windshield should be replaced if the interior layer is damaged. Cracks close to the edge or corner of the glass can worsen and spread quickly, especially if the car goes over bumps or pot holes. While replacing a windshield will take longer and may be more expensive, it is a sure way to insure safety with the highest level of visibility. This entry was posted in Uncategorized and tagged car glass repair, Windshield repair San Diego, Windshield tinting on December 14, 2018 by admin. A chipped windshield can cause the integrity of your windshield to be in question putting yourself and your passengers in danger. We understand that whether you have a new or old vehicle, safety is the most important. We all rely on our cars to transport us and our loved ones on a daily basis. Taking this into account we strive to provide the highest quality windshield repair and replacement services available. Our main goal is to get you and your vehicle back on the road safely and quickly. If a stone chips your windshield and the damage is smaller than an inch in diameter and not in the driver’s line of vision, we can repair it to prevent the crack from spreading. 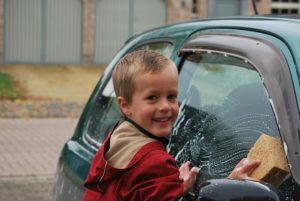 If you catch it early, an auto glass repair could be all you need and repair is a fraction of the cost of replacement. A chipped windshield could be dangerous and almost all chips will spread eventually. Windshield Repairs are quick and affordable and can sometimes be covered by your insurance provider at little or no cost to you. Many insurance companies waive deductibles up to $500 if you repair rather than replace. Let one of our insurance billing specialists help you determine your coverage. Small nicks or chips can turn into a large crack requiring a full windshield replacement. The sooner you have a repair done the better. If you are unsatisfied with your windshield repair or the repaired area ever spreads, the cost of the repair will be credited toward the cost of a brand new windshield installation as long as we performed the windshield replacement. A chip in your windshield can cause the integrity of your windshield to be in question putting yourself and your passengers in danger. When you call us, we will dispatch a certified technician to remedy the issue quickly and professionally. We can dispatch a technician to your location of choice or have you come in to one of our service centers and have you back on the road in no time. When a windshield can’t be repaired the only alternative is to replace the cracked windshield with a new one. When we replace your windshield, our Certified Technicians follow certain safety standards to make sure your vehicle is as safe as when it left the factory. The certified technician will explain in detail the service being performed. The technician will remove your rearview mirror as well as other attachments to the glass like your EZ PASS, State inspection sticker (if applicable), parking sticker from work or school or other stickers like oil change details. Completely and safely remove the old windshield and the old adhesive. It is critical that the old adhesive be removed and new sealant used to install your new windshield. After the replacement is completed, the technician will reattach rearview mirror, inspection sticker or any other items that were previously removed, when possible. The technician will inform you of the Safe Drive Away Time (SDAT) and other precautions to take with your new windshield. This is an important step that makes sure the adhesive has set fully and your vehicle is safe to drive. This entry was posted in Uncategorized and tagged chipped windshield, cracked windshield, windshield repair, Windshield repair San Diego, Windshield tinting on December 6, 2018 by admin. 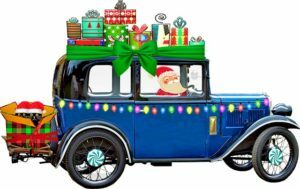 At this time of year, we may have packages in our car’s back seat for all your family and friends but it’s also for all the world to see. Thieves often do not consider the morals of their actions. 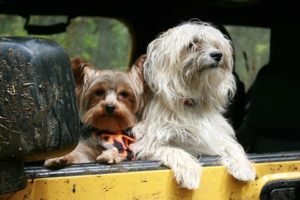 If they want to break into your car to either steal something from inside or to drive off with the vehicle, they will not hesitate. However, that does not mean that there is nothing you can do to have auto protection against thieves. This entry was posted in Uncategorized and tagged Auto glass repair, auto glass replacement, Car Safety, Windshield tinting on November 28, 2018 by admin. 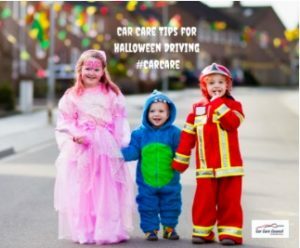 With Halloween fast approaching, the Car Care Council reminds motorists to drive slowly, especially through neighborhoods, to be extra careful when entering or exiting driveways, and to make sure their vehicle’s brakes, lights and wipers are working properly for a safe Halloween. A dirty windshield may look spooky but does not help to see children crossing the street. If the weather turns, cracked or torn wipers will also pose a problem to visibility. Check that all your lights are working for maximum performance and visibility on Halloween. This year the end of daylight saving time is after Halloween and that means children will likely be trick-or-treating at dusk when the sky is still bright, yet objects on the road can merge with shadows and fade into darkness. A vehicle’s brake system is the most critical safety item on a vehicle, but brakes wear out and eventually need replacement. Several factors that affect brake wear include driving habits, operating conditions, vehicle type and the quality of the brake lining material. Never put off routine brake inspections or any needed repairs, such as letting the brakes get to the “metal-to-metal” point, which can be potentially dangerous and lead to more costly repairs. reprinted from the Car Care Council. The Car Care Council is the source of information for the “Be Car Care Aware” consumer education campaign promoting the benefits of regular vehicle care, maintenance and repair to consumers. This entry was posted in Uncategorized and tagged Auto glass repair, Car Care, cracked windshield, halloween safety, Windshield tinting on October 24, 2018 by admin. 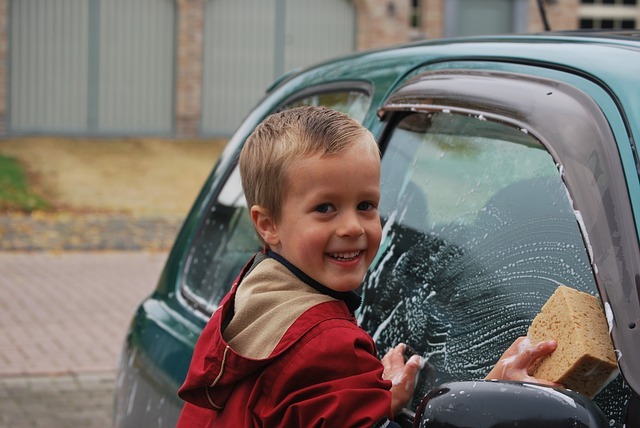 Are you doing anything wrong when you wash your car? Are you leaving streaks behind on the windshield, for instance? Are you leaving scratches on the glass? By avoiding these top three unsafe products, you will prevent a car glass repair. Sponges are probably the most commonly reached for product when it comes to washing a car. People associate sponges with cleanliness because they are regularly used to clean dishware. Sponges are meant to scrub, not gently clean. Sponges, when used to wash cars, can scratch at the paint. Worse yet is when they are used to wash car glass. They can end up harming the surface. Though signs of scratches may not appear right away, over months and years, you will notice them. It is important to refrain from using sponges to prevent a car glass repair. Why not use a towel to dry a newly-washed vehicle? Chances are, you have done this numerous times. Just like with using a sponge to clean your car glass, using a towel to dry the glass can scratch the surface. While towels seem soft, they are not soft enough to use on a car glass. Many household products contain ammonia in them, and ammonia is very harmful on cars. Though you can use glass cleaner on regular windows and mirrors, you should not use it on your car glass. Not only does ammonia leave streaks on auto glass, which creates glares while you drive, but it also can ruin the glass especially if it is tinted. Over time, ammonia will cause the tint to peel off, leaving you with terrible windows and windshield. It is best to steer clear of ammonia-based products if you do not want to deal with car glass repair. Get a microfiber cloth, or two (one for washing and one for drying). A microfiber cloth is safe to use on a car’s paint and glass. It is soft and smooth and will not scratch. Next, go to an auto shop or a retail store with an auto shop section. There, you should find many products that are safe to use on car glass. Some examples are Armor All Auto Glass Cleaner, Mothers Glass Cleaner, Rain-X Automotive Glass Cleaner, and Invisible Glass Premium Glass Cleaner. These are recommended for washing car glass. Preventing a car glass repair is not as complicated as it may seem. By avoiding everyday products you are using to wash your car, you will prevent major damages. This entry was posted in Uncategorized and tagged Power window repair, Windshield repair San Diego, Windshield tinting on August 29, 2018 by admin. This entry was posted in Uncategorized and tagged mobile windshield repair, windshield repair, Windshield repair San Diego, Windshield tinting on May 25, 2018 by admin. This entry was posted in Uncategorized and tagged mobile windshield repair, Windshield repair San Diego, Windshield tinting on May 11, 2018 by admin.